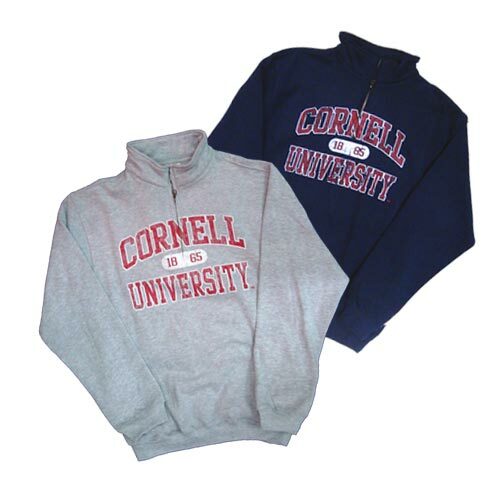 50% Cotton/ 50% Polyester fleece . Zip Placket style with on-seam pockets. 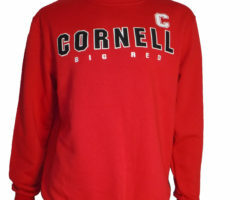 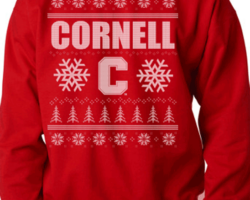 Distressed Cornell University imprint.